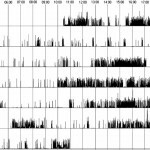 Actigraphy has been used widely to record the sleep-wake patterns of a person suffering with circadian rhythm sleep disorder. 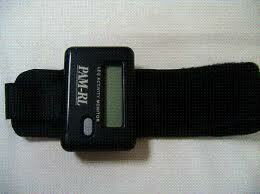 Actigraphy is much more advanced than traditional method of polysimnography. Actigraph which is the main instrument devised to note actigraphy measurement works on a continuous manner and can record data for 24-hours a day or weeks, depending upon the requirement of the doctor to evaluate the sleep disorder. With a push of a button, actigraph records all the events such as sleep-wake cycle of the patient. 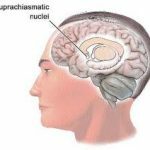 The information so obtained is of practical importance to cure different types of circadian rhythm disorder. How Does Actigraphy Work To Record Changes In Circadian Rhythm? To record sleep-wake patterns and changes in circadian rhythm, actigraphy devices are worn or placed on the non-dominant wrist with the help of a wristband and record activities that help to determine the sleep parameters. Collected data is downloaded to a computer system and based on recorded sleep factor specialized algorithms are produced. Most of the computer programs are coded to work with a single actigraph machine, while some can collect data from multiple actigraph machines and generate algorithm. The algorithm that is generated across different actigraphy machine is variable. There are different methods; for example zero crossing method pr digital integration method and sensitivity settings like low, medium and high. Both can be adjusted during the analytical procedure of capturing data through actigraphy. Sleep logs are generated in the computer and authorized software is used to calculate the periods of sleep of the patient. American Academy of Sleep Medicine has also shown positive thinking on the use actigraphy to study sleep-wake patterns and a helpful tool in diagnosing sleep disorders. Actigraphy has been said to be very useful in the evaluation of circadian rhythm sleep disorder especially advanced sleep phase syndrome and shift work disorder. It can be an efficient and effective tool to monitor the treatment effects on sleep disorder. Assessments done before and after treatments such as bright light therapy, melatonin medicine and CPAP can be easily noticed through actigraphy. Actigraph recordings are also helpful to measure the core body temperature changes and melatonin secretion timings. Actigraphy notes down every disturbance in the REM sleep phase which is the main reason for circadian rhythm sleep disorder. It is also useful in assessing daytime naps. It has been validated for the nighttime sleep parameters across all age group. Actigraphy does provide useful appendage for diagnosing circadian rhythm sleep disorders and it is one of the most cost-effective method for reviewing specific sleep disorders. There are number of actigraph devices approved by the U.S. Food and Drug Administration. Actigraphy can also be used an instrument to measure one’s sleep. Actigraphy is one of the best instruments; helpful to monitor and characterize circadian rhythm sleep disorder in children, infants and adults. An important note to get optimum result from an actigraphy is to evaluate sleep-wake pattern consecutively for 3 days in 24-hour periods. However, it depends on an individual’s time to reveal any circadian rhythm sleep disorder association or doctor’s recommended time frame.